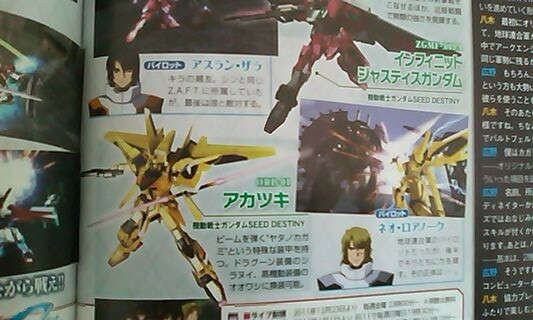 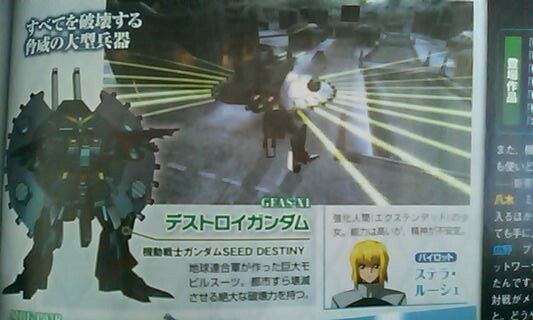 In the most recent issue of the Weekly Famitsu magazine, released in Japan, an announcement has been made that Mobile Suit Gundam Seed: Battle Destiny will be released for the Playstation Vita handheld console. 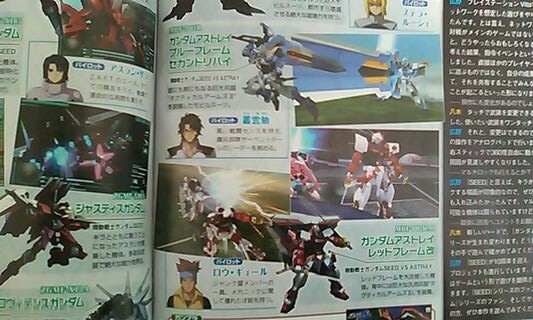 The game will include network play (I cannot find anywhere that says if this will be both AD-HOC and Infrastructure, or just one of these as yet, but this will no doubt be released soon) and will include mobile suits such as Destiny Gundam, Impulse Gundam, Freedom Gundam, Strike Freedom Gundam, Justice Gundam, Infinite Justice Gundam, Akatsuki, Providence Gundam, Gundam Astray Blue Frame Revise, Gundam Astray Red Frame Kai, and Destroy Gundam. 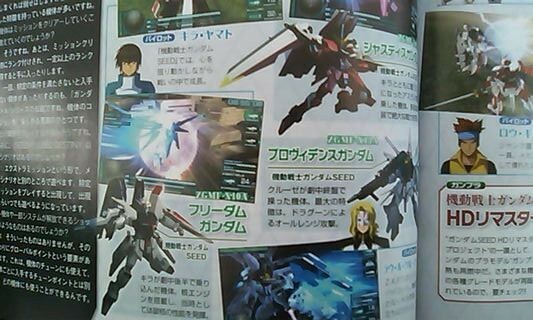 This will obviously include the mobile suits respective pilots.